Fusion had a rare opportunity to travel 63 feet below the surface of the ocean to visit Jacques Cousteau’s grandson, Fabien Cousteau, who is living and working underwater for 31 consecutive days. That’s right. He won’t be resurfacing for over a month. Mission 31 is in honor of granddaddy Jacques’ 1963 mission where he led a team of oceanographers on the first ever attempt to live and work underwater for 30 days. Of course, like any good grandson, Fabien outdid him by extending his mission one day longer. Living underwater gives ocean explorers an incredible advantage. 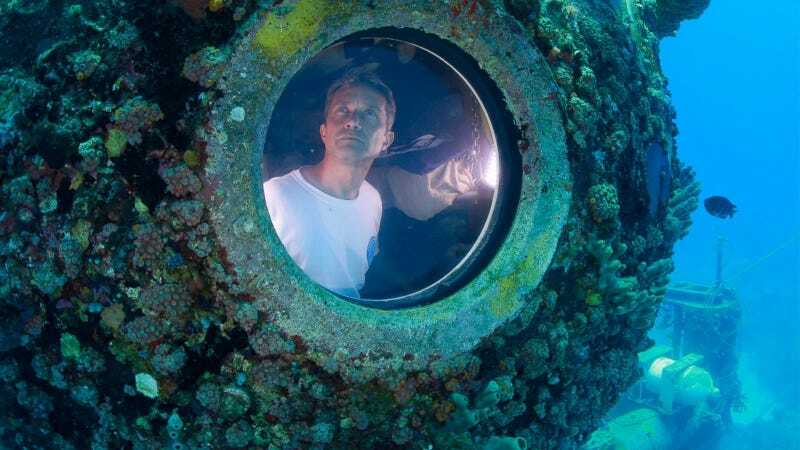 Unlike normal surface-based diving, where a person can only stay underwater a few hours a day, Mission 31 aquanauts (aka astronauts of the ocean) can be under the surface for 12 hours or more. This is because their bodies are saturated with nitrogen, allowing them to live at the same pressure as the water that surrounds them. To put it in perspective, it would take a normal diver six months to collect the amount of data that the aquanauts can obtain in 31 days. Just because the aquanauts are saturated, doesn’t mean that they don’t sleep, eat, shower and use the bathroom like everyone else. When they aren’t out in the water conducting important marine research, they get to revive their pruney fingers in their underwater home, The Aquarius Reef Base, which is also the only underwater habitat currently functioning in an oceanic system. To say the least, Mission 31 is pretty damn cool and it’s all in the name of ocean awareness. The research being conducted includes studying climate change, the decline of marine biodiversity and ocean pollution, including tests that may result in finding remains of the BP oil spill in the Florida Keys. From world-renowned oceanographers like Sylvia Earle, to actor and activist, Ian Somerhalder, advocates for marine conservation are flocking to check in with Fabien and see how his mission is going. But they aren’t the only ones who have the opportunity to get immersed in the experience. Aquarius is hooked up with the latest and greatest technology, including wifi. This is pretty remarkable, considering I can’t even get my wifi to extend from my living room to my kitchen. Having wifi allows the Mission 31 adventure to be live streamed, 24/7. So anyone, anywhere in the world (with an internet connection) can peek in and see what its like to live and work underneath the surface. Check it out for yourself before the mission ends on July 2. Michelle Nash isn't good at writing about herself. She runs web series for Fusion and hopes you enjoy the videos as much as she enjoyed making them. Follow her at @hello_michello. A human being being human.